As a Labour supporter, I was deeply disappointed by your office’s recent announcement that our party continues to support the end of free movement for people. I am writing to urge you to turn over a new leaf and speak out boldly and unequivocally in defence of free movement. Labour conference last year rightly voted to declare that “stagnant wages, crumbling services and the housing crisis are being exacerbated by the government and employers making the rich richer at working people’s expense, and not immigration.” Hard evidence clearly refutes these Tory lies. It is up to Labour to wage a campaign that debunks this lie and offers real solutions: wage increases, employment rights, trade union freedoms, and investment in services, jobs and council housing by taxing the rich. Labour should be the party of all working people, regardless of birthplace or passport. Our 2017 election campaign showed that when we stand up for what we believe, we can successfully challenge Tory dogma, change the debate and win hearts and minds. The freedom to move, live and work where we choose is a working-class right, since the rich can always go where they like. Free movement provides equality between migrant and UK-born workers, crucial to our ability to build solidarity and unionise against exploitative employers. Conceding to anti-immigration policies breeds division, hostility and scapegoating that weakens our movement, and tighter immigration controls make migrant workers precarious and more vulnerable to hyper-exploitation. 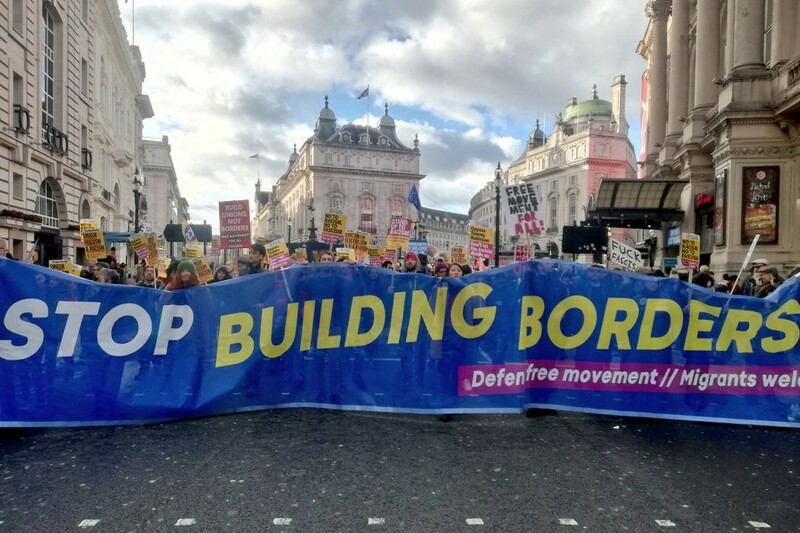 Instead of supporting the end of European free movement, Labour must defend it and campaign to extend it beyond its current limits, opposing racist anti-migrant policies from the Hostile Environment to Fortress Europe.